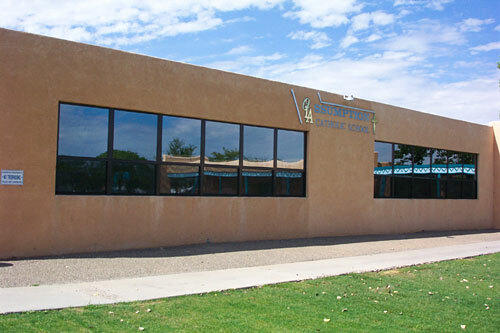 Casement windows shall be manufactured by Glass Rite, 808 Gibson SE, Albuquerque, NM 87102. Sizes and types as specified on plans. The windows comply with AAMA/NWWDA 101-I.S.2-97 specifications for C C-55 designation. Main frame and panel members shall be of aluminum extruded alloy 6063-T5. All frame and panel members shall be thermally insulated with a thermal break polyurethane compound chemically and mechanically bonded to the divided aluminum extrusions. Frame and panel members shall be bronze. The electrostatically painted and baked enamel finish shall meet AAMA 603.8 specifications for pigmented organic finishes. Main frame and panel members are machined and joined at corners by screws fastens into integral screw bosses. Frame corners to be sealed full perimeter. Hardware shall be of aluminum, stainless steel, or other corrosion-resistant material. 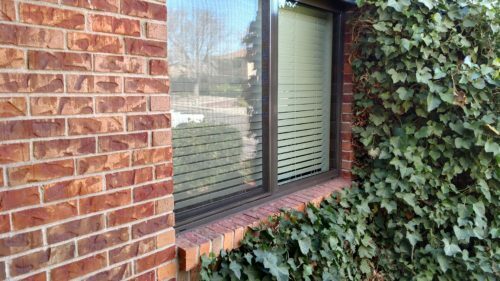 Casement operators shall be manufactured by Truth inc.
Weatherstrip shall be of only high quality materials proven to meet the environmental exposure and performance requirements. Weatherstrip shall conform to AAMA 701. Windows over 30" in height will be equipped with two Truth locks. Windows under 30" will have one lock. 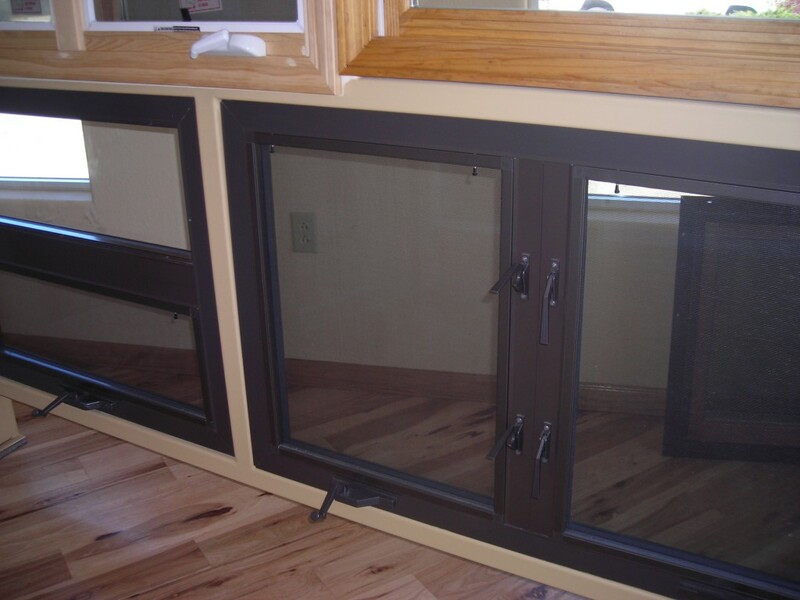 Windows shall be glazed with dual seal 3/4" insulated glass. Insulated glass to have Edgetech warm edge spacer as a secondary seal and a butyl primary seal. Glass shall be secured and sealed in panel by a channel type, soft vinyl gasket. Windows shall be furnished with rollform aluminum screen frames and charcoal screening.